If you were on a bicycle and you were following the rules of the road but were hit by a car or truck anyway, you should not have to cover the costs of the accident and resulting injuries. A Boise bicycle accident attorney from Craig Swapp & Associates can help you seek compensation from the person responsible so that you don’t have to shoulder the burden alone. Idaho laws concerning bicycles state that bicycle riders are required to obey the same traffic laws as motorized vehicles. On top of that, they must use lights and reflectors at night. This means that bicycles should either be on bike paths or following traffic laws by riding on the right side of the road and obeying all traffic signals. Even signaling when you are going to turn is important. If you did make a mistake while riding your bicycle, you still might not be liable for 100 percent of the costs for damages, medical treatment, and pain and suffering. An experienced attorney from our firm can look over the details and help you figure out who was to blame for your collision and injuries. One of the biggest dangers involved with getting into an accident on a bicycle is that other than a helmet, there is no external protection. Even a helmet only provides limited protection when it comes to the force of a vehicle or impact with pavement or some other object. Bicycle accidents can yield serious injuries that could even be life threatening—and that will most certainly be expensive. In order to ensure you get the justice you deserve, you need a Boise bike accident lawyer from our office to investigate and negotiate on your behalf. You may be able to seek compensation for your costs, injuries, damages, and pain and suffering with the help of a Boise bicycle accident lawyer. 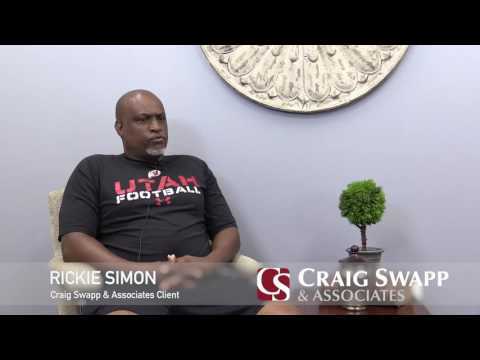 At Craig Swapp & Associates, our lawyers are experienced and knowledgeable and can help you deal with the medical bills and the insurance company as you recover. If you have been in a bicycle accident in Boise that was caused by someone else’s negligence, you could be entitled to financial compensation. Even if you aren’t yet certain that you have a case, complete the form below or call our office toll free at 1-800-404-9000 for a free consultation.